Brilliant bright straw green color. Delicate, interesting, spicy aromas and flavors of waxy apple and honeycomb, powdery anisette cookie, ground almonds, herbs, and spices, and white blossoms with an even, bright, dry-yet-fruity medium body and a tingling, refreshing, medium-length finish with suggestions of lemon spritzed pineapples and tropical fruit creme brulee with fine, soft tannins and light oak flavor. A very tasty well made chardonnay. Bottom Line: A very tasty well made chardonnay. 83 • Albertoni 2014 Chardonnay, California 12.5% (USA) $8.99. 87 • Allure NV Bubbly Moscato, California 10% (USA) $12.99. 86 • Allure NV Bubbly Pink Moscato, California 10% (USA) $12.99. 80 • Allure NV Bubbly Peach Wine, California 10% (USA) $12.99. 86 • Allure NV Bubbly Mango Wine, California 10% (USA) $12.99. 88 • Antares 2013 Malbec, Napa Valley 13.8% (USA) $21.99. 86 • Bears’ Lair 2013 Chardonnay, California 13.5% (USA) $11.99. 90 • Bears’ Lair 2016 Chardonnay, California 13.5% (USA) $9.99. 88 • Big Guy 2014 Red Wine, California 14.2% (USA) $18.99. 88 • Black Mountain 2014 Pinot Noir, California 12.5% (USA) $5.99. 84 • Blanc de Bleu NV Brut, California 11% (USA) $15.99. 84 • Blanc de Bleu NV Cuvee Mousseux Brut Sparkling, American 11% (USA) $19.99. 90 • Bles 2014 Tinto, Valencia 13.5% (Spain) $9.99. 87 • Bles 2014 Crianza, Valencia 13.5% (Spain) $13.99. 88 • Carmenet 2014 Chardonnay, California 12.5% (USA) $11.99. 84 • Carmenet 2014 Reserve, Merlot, California 12.5% (USA) $11.99. 82 • Carmenet 2014 Cabernet Sauvignon, California 12.5% (USA) $11.99. 88 • Carmenet 2015 Chardonnay, California 12.5% (USA) $11.99. 85 • Carmenet 2014 Pinot Noir, California 12.5% (USA) $11.99. 87 • Carmenet 2016 Reserve, Chardonnay, California 12.5% (USA) $9.99. 84 • Carmenet NV Vintners Collection Reserve Sparkling, Chardonnay, California 12% (USA) $15.99. 85 • Cedar Brook 2014 Chardonnay, California 12.5% (USA) $13.99. 87 • Cedar Brook 2016 Chardonnay, California 12.5% (USA) $9.99. 85 • Cellar Four 79 2016 Chardonnay, California 12.5% (USA) $8.99. 83 • Cellar Four 79 2015 Merlot, California 12.5% (USA) $8.99. 86 • Cellar Four 79 2016 Moscato, California 9.4% (USA) $8.99. 87 • Cellar Four 79 2016 Pinot Grigio, California 12.5% (USA) $8.99. 88 • Cellar Four 79 2015 Pinot Noir, California 12.5% (USA) $8.99. 87 • Cellar No.8 2015 Chardonnay, California 13.8% (USA) $10.99. 82 • Charles Shaw 2014 Chardonnay, California 12.5% (USA) $4.99. 85 • Chateau La Paws NV Pinot Noir, California 13.5% (USA) $15.99. 85 • Cherry Blossom Cellars 2014 Pinot Noir, California 13.5% (USA) $4.99. 87 • Coastal Ridge 2014 Chardonnay, California 12.5% (USA) $8.99. 87 • Coastal Ridge 2014 Cabernet Sauvignon, California 12.5% (USA) $8.99. 85 • Coastal Ridge 2013 Merlot, California 12.5% (USA) $8.99. 86 • Coastal Vines 2014 Chardonnay, California 12.5% (USA) $8.99. 84 • Coastal Vines NV Brut Cuvée Sparkling Wine, California 12% (USA) $9.99. 84 • Cottonwood Creek 2015 White Wine, California 12% (USA) $9.99. 89 • Cottonwood Creek 2015 Red Wine, California 12.5% (USA) $9.99. 84 • Cottonwood Creek 2015 Pinot Noir, California 12.5% (USA) $11.99. 84 • Cottonwood Creek 2015 Cabernet Sauvignon, California 12.5% (USA) $11.99. 85 • Cottonwood Creek 2016 Pinot Grigio, California 12.5% (USA) $11.99. 83 • Cottonwood Creek 2016 Chardonnay, California 12.5% (USA) $11.99. 84 • Crane Lake 2014 Chardonnay, California 12.5% (USA) $6.99. 84 • Crane Lake 2014 Shiraz, California 12.5% (USA) $6.99. 85 • Crane Lake 2013 Merlot, California 12.5% (USA) $6.99. 86 • Crane Lake 2014 Cabernet Sauvignon, California 12.5% (USA) $6.99. 93 • Crane Lake 2015 Pinot Grigio, California 12.5% (USA) $6.99. 88 • Daffodil Winery 2014 Eola Amity, Pinot Noir, Willamette Valley 14.5% (USA) $39.99. 92 • Deshora NV Brut, Cava DO 11.5% (Spain) $15.00. 90 • Domaine Napa 2014 Chardonnay, Napa Valley 12.5% (USA) $27.99. 89 • Estrella 2014 Proprietor’s Reserve, Cabernet Sauvignon, California 12.5% (USA) $7.99. 86 • Estrella 2014 Proprietor’s Reserve, Chardonnay, California 12.5% (USA) $7.99. 84 • Estrella 2013 Proprietor’s Reserve, Merlot, California 12.5% (USA) $7.99. 86 • Fat Cat 2014 Chardonnay, California 12.5% (USA) $11.99. 88 • Fat Cat 2014 Pinot Noir, California 12.5% (USA) $11.99. 88 • Fat Cat 2013 Cabernet Sauvignon, California 12.5% (USA) $11.99. 90 • Forest Glen 2014 Chardonnay, California 13.8% (USA) $11.99. 84 • Forest Glen 2015 Tehachapi Clone, Pinot Grigio, California 12.5% (USA) $9.99. 90 • Forest Glen 2014 Pinot Noir, California 12.8% (USA) $10.99. 86 • Forest Glen 2013 Cabernet Sauvignon, California 13.5% (USA) $11.99. 87 • Forest Glen 2014 Merlot, California 13.5% (USA) $11.99. 86 • Forest Glen 2014 Moscato, California 10% (USA) $10.99. 88 • Forest Glen 2015 Riesling, California 11% (USA) $10.99. 85 • Forest Glen 2015 White Merlot, California 11.5% (USA) $10.99. 85 • Forest Glen 2015 Chardonnay, California 13.8% (USA) $10.99. 88 • ForestVille 2014 Cabernet Sauvignon, California 12.5% (USA) $7.99. 90 • ForestVille 2015 Chardonnay, California 12.5% (USA) $7.99. 83 • ForestVille 2013 Merlot, California 12.5% (USA) $7.99. 85 • Fox Brook 2014 Shiraz, California 12.5% (USA) $6.99. 84 • Fox Brook 2014 Cabernet Sauvignon, California 12.5% (USA) $6.99. 88 • Fox Brook 2015 Chardonnay, California 12.5% (USA) $6.99. 90 • Fox Brook 2015 Pinot Grigio, California 12.5% (USA) $6.99. 83 • Fox Brook 2015 White Zinfandel, California 10.5% (USA) $6.99. 86 • Foxhollow 2015 Chardonnay, California 12.5% (USA) $6.99. 88 • Garnet Vineyards 2014 Pinot Noir, Monterey County 13.8% (USA) $17.99. 93 • Garnet Vineyards 2014 Pinot Noir, Sonoma Coast 13.8% (USA) $23.99. 90 • Garnet Vineyards 2014 Stanly Ranch Vineyard, Pinot Noir, Carneros 14.35% (USA) $29.99. 89 • Garnet Vineyards 2016 Chardonnay, Monterey County 13.8% (USA) $14.99. 91 • Gravel Bar Winery 2014 Cabernet Sauvignon, Columbia Valley 14.5% (USA) $19.99. 88 • Gravel Bar Winery 2014 Chardonnay, Columbia Valley 14% (USA) $17.99. 91 • Gravel Bar Winery 2014 Alluvial Red Blend, Columbia Valley 14.5% (USA) $19.99. 90 • Gravel Bar Winery 2014 Estate Reserve - Red Mountain, Cabernet Sauvignon, Columbia Valley 14% (USA) $45.99. 90 • Gravel Bar Winery 2016 Chardonnay, Columbia Valley 14.5% (USA) $15.99. 86 • Green Fin 2016 Merlot, California 12.5% (USA) $4.99. 87 • Green Fin 2016 Pinot Grigio, California 12.5% (USA) $4.99. 88 • Green Fin 2016 Red Wine, California 12% (USA) $4.99. 86 • Green Fin 2015 White Wine, California 11% (USA) $4.99. 87 • Green Truck 2014 Chardonnay, Mendocino 13.8% (USA) $15.99. 89 • Green Truck 2013 Made with Organic Grapes, Zinfandel, Mendocino County 13% (USA) $17.99. 87 • Green Truck 2014 Organic, Cabernet Sauvignon, Mendocino County 13.8% (USA) $17.99. 83 • Green Truck 2014 Petite Sirah, Mendocino County 13.8% (USA) $17.99. 83 • Green Truck 2014 Cabernet Sauvignon, Mendocino County 13.8% (USA) $13.99. 84 • Green Truck 2014 Chardonnay, Mendocino County 13.8% (USA) $13.99. 85 • Green Truck 2014 Petite Sirah, Mendocino County 13.8% (USA) $13.99. 84 • Green Truck 2016 Sauvignon Blanc, Mendocino County 13.2% (USA) $13.99. 83 • Hacienda 2014 Cabernet Sauvignon, California 12.5% (USA) $8.99. 84 • Hacienda 2014 Chardonnay, California 12.5% (USA) $8.99. 85 • Hacienda 2014 Merlot, California 12.5% (USA) $8.99. 83 • Hacienda NV Brut Sparkling, California 12% (USA) $12.99. 91 • Haraszthy Family Cellars 2013 Zinfandel, Amador County 14.8% (USA) $23.99. 89 • Haraszthy Family Cellars 2014 Old Vine, Zinfandel, Lodi 13.8% (USA) $14.99. 91 • Haraszthy Family Cellars 2013 Reserve Indian Springs Ranch, Zinfandel, Sonoma Valley 14.8% (USA) $33.99. 87 • Haraszthy Family Cellars 2014 Bearitage Red Wine, Lodi 13.8% (USA) $14.99. 86 • Harlow Ridge 2016 Zinfandel, Lodi 12.5% (USA) $8.99. 88 • Heliotrope 2014 Pinot Grigio, California 13.5% (USA) $13.99. 87 • J.W. Morris 2014 Chardonnay, California 13% (USA) $7.99. 93 • Komodo Dragon 2014 Red Blend, Columbia Valley 12.5% (USA) $17.99. 90 • Laurelwood Reserve 2014 Hirschy Vineyard Reserve, Pinot Noir, Yamhill-Carlton 14.5% (USA) $39.99. 85 • Laurier 2013 Chardonnay, Carneros, Sonoma County 13.5% (USA) $17.99. 91 • Livermore Crossing 2013 Merlot, Livermore Valley 13.8% (USA) $17.99. 84 • Masked Rider 2013 Sagebrush, Pinot Noir, California 13.5% (USA) $12.99. 87 • Miya Ray 2016 Malbec, Curico Valley 12.6% (Chile) $.00. 86 • Miya Ray 2016 Malbec, Curico Valley 12.6% (Chile) $14.99. 80 • Miya Ray 2016 Chardonnay, Curico Valley 13.9% (Chile) $14.99. 89 • Montpellier 2014 Chardonnay, California 12.5% (USA) $9.99. 88 • Montpellier 2014 Cabernet Sauvignon, California 12.5% (USA) $9.99. 85 • Montpellier 2014 Pinot Noir, California 12.5% (USA) $9.99. 89 • Naked Earth 2015 Vin Blanc, France 12.5% (France) $12.00. 88 • Naked Earth 2015 Vin Rouge, France 12.5% (France) $12.00. 89 • Napa Ridge 2014 Chardonnay, Napa Valley 13.5% (USA) $19.99. 89 • Napa Ridge 2014 Chardonnay, Napa Valley 13.5% (USA) $17.99. 84 • Once Upon A Vine 2015 A Charming Pinot, Pinot Noir, California 13.5% (USA) $15.99. 88 • Once Upon A Vine 2014 The Fairest, Chardonnay, California 13.5% (USA) $14.99. 92 • Orogeny 2014 Pinot Noir, Russian River Valley 14.5% (USA) $45.99. 88 • Orogeny 2016 Chardonnay, Russian River Valley 13% (USA) $34.99. 90 • Pacific Pinot 2015 Pinot Noir, Oregon 13.5% (USA) $15.99. 84 • Picket Fence 2014 Chardonnay, Russian River Valley 13.5% (USA) $15.99. 88 • Picket Fence 2014 Pinot Noir, Russian River Valley 13.5% (USA) $17.99. 91 • Picket Fence 2014 Top Rail Red Blend, Sonoma County 13.5% (USA) $15.99. 85 • Picket Fence 2014 Chardonnay, Russian River Valley 13.5% (USA) $15.99. 93 • Picket Fence 2015 Chardonnay, Russian River Valley 13.5% (USA) $15.99. 89 • PINO Cellars 2015 Pinot Gris, Oregon 13.5% (USA) $17.99. 91 • PINO Cellars 2014 Pinot Noir, Oregon 13.5% (USA) $19.99. 86 • PINO Cellars 2015 Rose of Pinot Noir, Oregon 13.5% (USA) $19.99. 88 • Primosole 2016 Pinot Grigio, Terra Siciliane IGT 12% (Italy) $10.00. 90 • Primosole 2013 Sangiovese, Puglia IGT 12.5% (Italy) $10.00. 86 • Quail Creek 2015 Pinot Grigio, California 12.5% (USA) $7.99. 83 • Rare Earth 2015 Cabernet Sauvignon, California 13.2% (USA) $12.00. 84 • Rare Earth 2014 Chardonnay, California 13.8% (USA) $12.00. 89 • Rare Earth 2015 Pinot Noir, California 13.8% (USA) $12.00. 84 • Red Truck 2013 Merlot, California 13.5% (USA) $11.99. 84 • Red Truck 2014 Pinot Noir, California 13.5% (USA) $11.99. 86 • Red Truck 2014 Red Wine, California 13.5% (USA) $10.99. 83 • Red Truck 2016 Chardonnay, California 13% (USA) $11.99. 88 • Red Truck 2013 Old Vine, Zinfandel, California 13.5% (USA) $11.99. 87 • Redwood Vineyards 2013 Pinot Noir, California 12.5% (USA) $10.99. 90 • Richard Grant NV Cuvee Rose Brut, North Coast 12% (USA) $29.99. 86 • Rosenblum 2014 Zinfandel, Paso Robles 13.8% (USA) $19.99. 93 • Rosenblum 2014 Zinfandel, Rockpile 15.3% (USA) $29.99. 92 • Rosenblum NV Vintner’s Cuvée XXXIX, Zinfandel, California 13.9% (USA) $19.99. 85 • RSVP NV Brut Sparkling, California 12% (USA) $5.99. 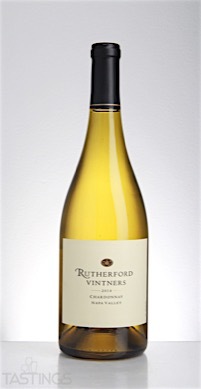 86 • Rutherford Vintners 2014 Chardonnay, Napa Valley 12.5% (USA) $19.99. 83 • Rutherford Vintners 2013 Pinot Noir, Napa Valley 12.5% (USA) $21.99. 88 • Rutherford Vintners 2013 Merlot, Napa Valley 12.5% (USA) $19.99. 93 • Rutherford Vintners 2013 Cabernet Sauvignon, Napa Valley 13.8% (USA) $21.99. 83 • Rutherford Vintners 2014 Sauvignon Blanc, Napa Valley 12.5% (USA) $19.99. 87 • Rutherford Vintners 2014 Chardonnay, Napa Valley 12.5% (USA) $17.99. 84 • Salmon Creek 2014 Chardonnay, California 12.5% (USA) $8.99. 88 • Salmon Creek 2015 Pinot Grigio, California 12.5% (USA) $8.99. 86 • Salmon Creek 2016 Chardonnay, California 12.5% (USA) $9.99. 84 • Salmon Creek NV Brut Sparkling, California 12% (USA) $10.99. 86 • Santa Barbara Canyon 2014 Chardonnay, Santa Barbara County 13% (USA) $17.99. 87 • Santa Barbara Crossing 2014 Chardonnay, Santa Barbara County 13% (USA) $17.99. 87 • Silver Ridge 2013 Pinot Noir, California 12.5% (USA) $11.99. 88 • Silver Ridge 2014 Merlot, California 12.5% (USA) $11.99. 84 • Silver Ridge 2013 Cabernet Sauvignon, California 12.5% (USA) $11.99. 87 • Silver Ridge 2015 Chardonnay, California 12.5% (USA) $11.99. 85 • Silver Ridge 2014 Pinot Noir, California 12.5% (USA) $11.99. 88 • Six Degrees 2014 Chardonnay, California 13.5% (USA) $13.99. 89 • Six Degrees 2014 Pinot Noir, California 13.5% (USA) $13.99. 89 • Six Degrees 2016 Chardonnay, California 13.5% (USA) $9.99. 83 • Snap Dragon 2014 Pinot Noir, California 13.5% (USA) $10.99. 87 • Snap Dragon 2014 Chardonnay, California 13.5% (USA) $9.99. 87 • Stone Cellars 2015 Chardonnay, California 12.5% (USA) $8.99. 85 • Stone Cellars 2015 Chef’s Collection, Chardonnay, California 12.5% (USA) $10.99. 86 • Stone Cellars NV Cuvee Brut, California 12% (USA) $13.99. 90 • The California Winery 2013 Chardonnay, California 13.5% (USA) $9.99. 86 • The Great American Wine Company 2014 Chardonnay, California 13.5% (USA) $14.99. 91 • Three Ghost Vine 2016 Pinot Noir, California 12.5% (USA) $7.46. 86 • Three Knights 2014 Sauvignon Blanc, Russian River Valley 13.5% (USA) $21.99. 88 • Tour des Fiefs 2017 Sancerre 13% (France) $27.99. 87 • White Truck 2015 Unoaked, Chardonnay, California 13% (USA) $11.99. 85 • Wild Hare 2015 Pinot Noir, California 13.5% (USA) $10.99. Chardonnay is arguably the world’s most famous white variety, thanks to its success in France’s Burgundy region as well as throughout much of California. Chardonnay on its own has rather straightforward, pleasant aromas of apple and pear, but when aged (and sometimes fermented) in small oak barrels, the wines take on extra richness as well as notes of toasted almond, vanilla and yeast. The most renowned examples of Chardonnay are from small villages and vineyards in Burgundy, such as Chassagne-Montrachet, Puligny-Montrachet and Meursault. These wines are very powerful with ample spicy notes and very good acidity; they age very well, sometimes as long as 20-25 years. Another part of Burgundy, Chablis, is home to more restrained style of Chardonnay. Certain areas of California, especially Russian River Valley in Sonoma and Santa Barbara County are also home to many distinguished examples of Chardonnay, with those from the latter region often displaying tropical fruit flavors. Given that most Chardonnnays are aged in small oak barrels, there has been a movement as of late to give consumers a mored delicate style of Chardonnay, without all the spicy and toasty flavors. 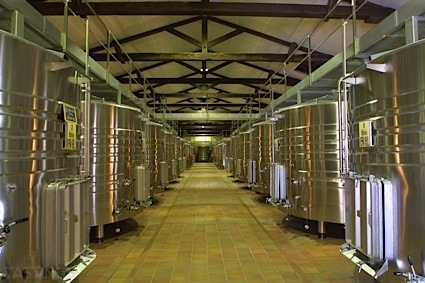 Thus there are now many producers that produce non-oak aged Chardonnays; this has been seen from many producers from Australia as well as a few in California as well. Chardonnay, especially oak-aged versions, are quite rich and need seafood of equal richness at the dinner table. Thus lobster, halibut and swordfish are ideal food pairings. Rutherford Vintners 2014 Chardonnay, Napa Valley rating was calculated by tastings.com to be 86 points out of 100 on 3/8/2016. Please note that MSRP may have changed since the date of our review.